Some of this is old news to many people, although we've updated a few points here and there recently. We're simply identifying moments or themes to anticipate and appreciate this baseball season. As usual, we'll have individual awards and postseason predictions. Plus, to make up for our tardiness, this year's season preview will include extra nuggets like the all new Divisional All-Pro teams. The Wild Card has come out of the AL East every year since 2006, and that trend should continue this year. ... by showing why he's a DH. 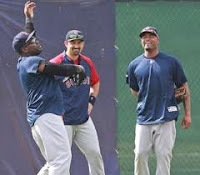 As for the big-spending rivals fighting with the Rays, fans in Boston are hoping that expensive acquisitions Carl Crawford and Adrian Gonzalez will return them to glory. Meanwhile, the Yankees are trying to win with offense, offense, more offense, a pitching ace, and a sick bullpen. Buck's O's have got it going on. In many circles, the cellar of this division is expected to compete at a high level. 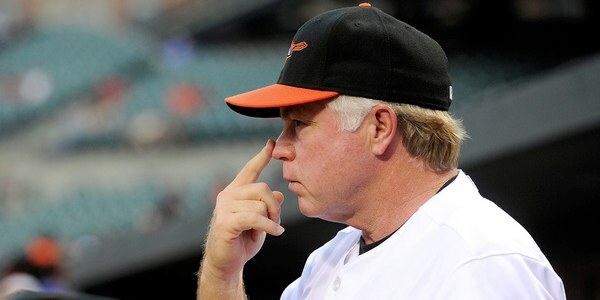 The Orioles record after hiring Buck Showalter has been well documented, and Toronto has great young pitching. How possible is it that the balance in this division costs the AL East its 5th straight Wild Card? 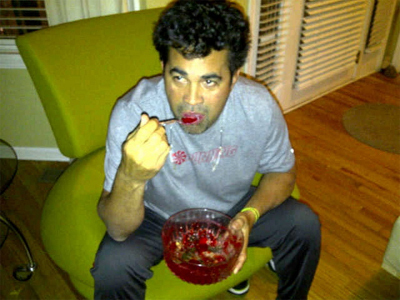 Ozzie Guillen's got it under control. Depending on health, any of the top three teams can win the division this year. There are plenty of seats available on the Royals 2013 bandwagon. The Indians have building blocks in Carlos Carrasco, Shin-Soo Choo, and Chris Perez, but they need more consistent help. 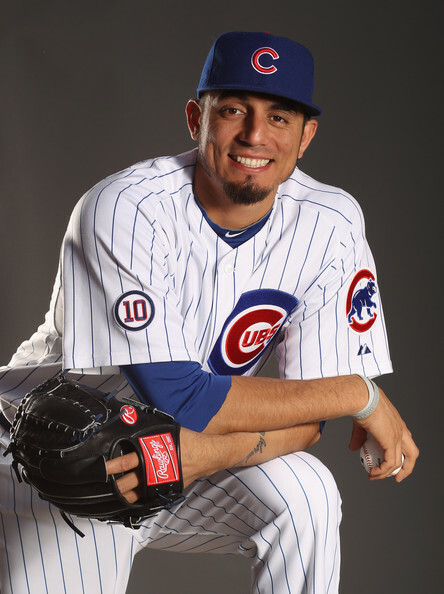 best 3b in the AL Central? 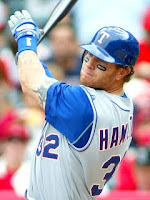 The defending pennant champion Rangers and upstart A's have the look of a budding young rivalry. 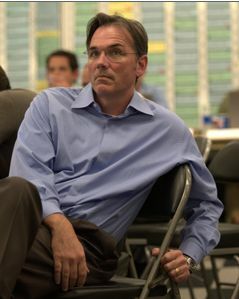 There is too much talent in Anaheim's roster, management, and front office for the Angels to be a nonfactor for long. The Mariners are a big market team, and I think their front office resents the thoughts that, when it comes to their young Ace, Felix Hernandez, they're much like the Cavs holding LeBron before his Decision. It's not going to happen this year, but I really hope this becomes an awesome division, with all four teams worthy of the postseason. 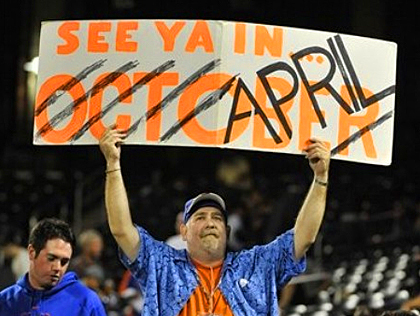 It's nice when Mets' fans are realistic. While their starting rotation is not too far from Mt Rushmore status, the Phillies have genuine issues with age, defense, and offense. The Braves or Marlins may challenge for the division or a Wild Card birth. It should, as usual, all come down to pitching and health. The Nationals look like they are about a year, or two, away from something special. * Living in New York, I've grown a bit sympathetic for the recent plight of the Met fan. While Opening Day (or Opening Week - as it said on the grass at Yankee Stadium) is all about hope for every franchise, the best thing I can say about the Mets is that they're getting better. They are in the capable hands of Sandy Alderson, and they will be better. 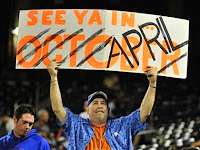 It takes time, and would behoove Mets fans to maintain patience with the Major League club. Who's this Joe Blanton character? The Phillies pitching was God's gift to a generation of Philadelphia fans, after they reacquired Cliff Lee this offseason. They will be outstanding if they can stay healthy, but how the Phillies really differentiated themselves is that if one or two of their Aces succumbs to injury, they'll still have two or three Aces for the postseason. The biggest understatement of this post: the Phillies are in really good shape with their rotation. Their question marks begin in the bullpen, where Brad Lidge is hurt again and the rest of the firemen appear unsettled. Those question marks are exacerbated in the lineup. They lost Jayson Werth, and Domonic Brown is hurt. Chase Utley may never be himself again. Ryan Howard may be just a one-sided weapon, or at best an overpaid masher. Jimmy Rollins will probably never contend for another league MVP. The Hawaiian hasn't really been flyin' much lately. Polanco isn't exactly, pardon me, Mike Schmidt in the batters box either. *The Nationals look like they're going in the right direction. We may only be a couple of years away from a thrilling Nationals vs Royals World Series! 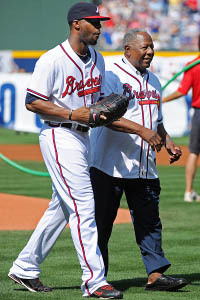 To be more specific on the Braves, they actually have a great chance at winning this division. Tommy Hanson could win the Cy Young this season, and Freddie Freeman looks like the real deal at first base. This team can go far, with their good looking blend of youth and experience. It's like they're the Touch of Gray guy in the commercial! I feel like the National League Wild Card is coming out of the Central. It would be more than nice if the Cubs could shock the world and win the World Series this year. That's the plan, right? Right?? Hello? smiling after a few months. The Cardinals look like they're getting worse, but with that pitching coach, they could seemingly turn any bum into a 15-game winner. I'm always worried about a few retreads on that staff figuring out how to throw a sinker and destroying the Cubs' season. The Reds currently look like the class of the division, while the Brewers look like the most improved team. Perhaps the division will come down to the comparative performances of guys like Fielder and Votto, Axford and Chapman. My initial feeling is that Zack Greinke is the key. His performance could decide Milwaukee's baseball fate this season. The Pirates are and exciting team, and folks in Houston were really excited by the Astros at the end of last season. For the Astros to make one of their patented 2nd half runs, they'll need excellence from Brett Myers, health from Wandy, steady contribution from Hunter Pence, a return to form from Carlos Lee, and a leap in performance from new first baseman Brett Wallace. After considering all the evidence, the Cubs could finish in first or last place this year, with indicators sadly pointing towards not 1st place. How good will Tulo be? The Wild West was a lot of fun last year and is star studded again, with the World Champs, the Blake Street Improvement Project, the young arms of the Padres, and the Hollywood guys. Kevin Towers and Kirk Gibson ought to have the D'Backs playing the right way soon, winning eventually. Interestingly, after the Adrian Gonzalez trade with Boston, the NL West's premier first baseman is either 37-year old Todd Helton or rookie Brandon Belt. What's your Super Bowl XLV memory? Of all the silly things to try to predict six months ahead of time, few are sillier than a Manager of the Year award. This must be done in retrospect, looking at who dealt with adversity and success the best. Double-digit wins should lock this up for the southpaw. Hellickson was like a shutdown machine from the future, when in the rotation last year. After judicious study and consideration, it's prudent to expect more success. It's likely that Seattle's ace may never pitch better than he has the past two years, but the status quo for the 25-year old Ace is still mighty regal. 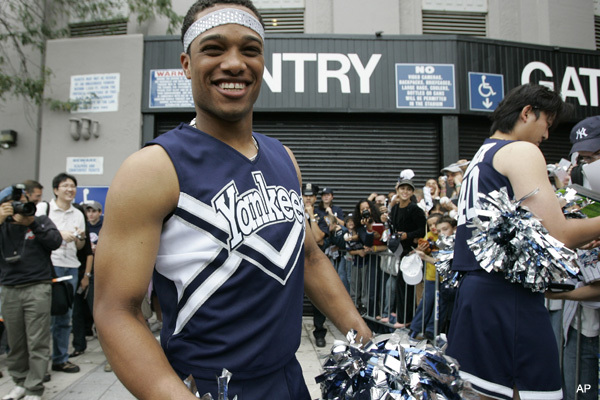 What's not to like about the in-his-prime, slick hitting and fielding, middle of the order middle-infielder from the Bronx Bombers? Picking MVP's before the season starts is like trying to pick the winner of the Kentucky Derby. 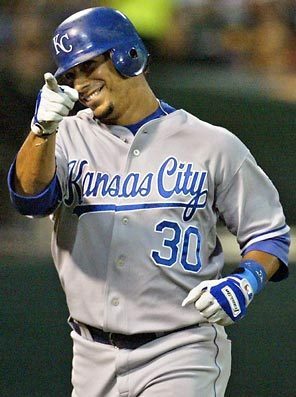 Ugh, the detestable know-it-all has already faced adversity in Spring Training by getting engulfed in Pujols contract drama and losing his ace pitcher for the season. If the Cardinals have another fine season, the Post-Dispatch guys will be getting Prof. La Russa's virtual honorary degrees lined up. Check it: Kung-Fu Panda is back, lighter, and better than ever. If Andrew Cashner* winds up winning this award, then the Cubs' may have a good season. I'll root for that. *Editor's note: This is already a bad sign for the season, as Cashner was removed in the 6th inning of his first Major League start, with tightness in his shoulder. 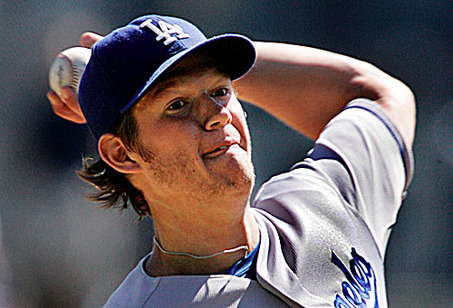 Who else likes Kershaw for the Cy? Gallardo, Jimenez, Greinke, Lincecum, Carpenter, Cain, Josh Johnson, Tim Hudson, and others will undoubtedly make this a fun competition again this season. Few things get me as jazzed as talking pitching. For the record, I hope the Cubs do not sign Pujols. If they get him, I'll root for him. It's just that I think he will be grossly overpaid for the last 3, 4, or 5 years of his contract, to the extent of being an albatross. He seems a bit older than he lets on, too. 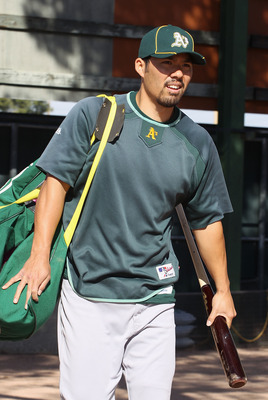 Kurt Suzuki for World Series MVP.